Do you love Scuba Diving but you do not know how to find a dive buddy suitable for you? Have you dived with different people, but you did not fit well with any of them? Have you wondered what makes a dive buddy perfect? If you still haven’t found your perfect dive buddy, this article will interest you. Every Scuba Diving lover knows that this is a sine qua non. You cannot play tennis alone, but you cannot dive alone either. This fact does not mean that finding a dive buddy is something easy. 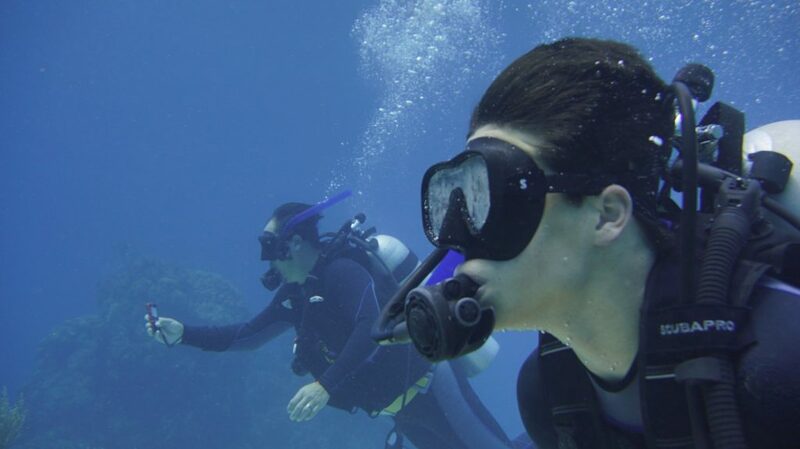 In this article, we review the qualities a good dive buddy has to have. In addition, we introduce some strategies that will help you to find a dive buddy suitable for you. How to find a Dive Buddy? Which characteristics should he or she have? The ideal dive buddy takes safety seriously. He/She verifies your gear and his/her one. He/She never moves away from you more than 5 meters. But, above all of this, he or she is somebody whom you trust. The perfect dive buddies understand each other. He/She accepts that you usually spend three quarters of an hour to get into your neoprene. You understand that equalizing takes him/her a long time. And obviously, both of you know exactly what the other one wants to say when you use that signal, which no one else understands. The flawless dive buddy knows what kind of dives can be done together. It is not necessary for him/her to have the same Scuba Diving certification you have, but he/she knows your limitations as well as you know her/his limitations. Probably, after reading these characteristics you will wonder: “Where can I find a dive buddy so great as this? Let’s consider some ideas! Usually, the diver’s own home is a goldmine to find a dive buddy perfect for you. Husbands, wives, parents, children, brothers and sisters, are already trusting in a reciprocal manner. Not for nothing, they are sharing your own life with you. Why could not you not put trust in one of your relatives to practice your favorite sport? Complicity and a deep knowledge of each other will be your success key. If you are looking for the best scuba buddy, do persuade your friends to try Scuba Diving! Ask to your friends if they are Scuba Diving enthusiasts. Maybe you discover that you have more common things than you thought! If this is not the case, it is the perfect moment to encourage them to practice this sport with you. Tell them about those marvelous scuba diving adventures in which you were the protagonist, invite them to snorkel or give them a PADI dive course for beginners. If spite of doing this, you are not able to convince them, the next option will be to extend your circle of friends. Join an active Dive Club in search of your Diving Partner. When your friends do not share your love for diving, it’s time to look for people who do. You will find them, near you, in the Diving clubs of your city. Frequently, this kind of clubs promote scuba diving activities and trips in which you can form friendships. 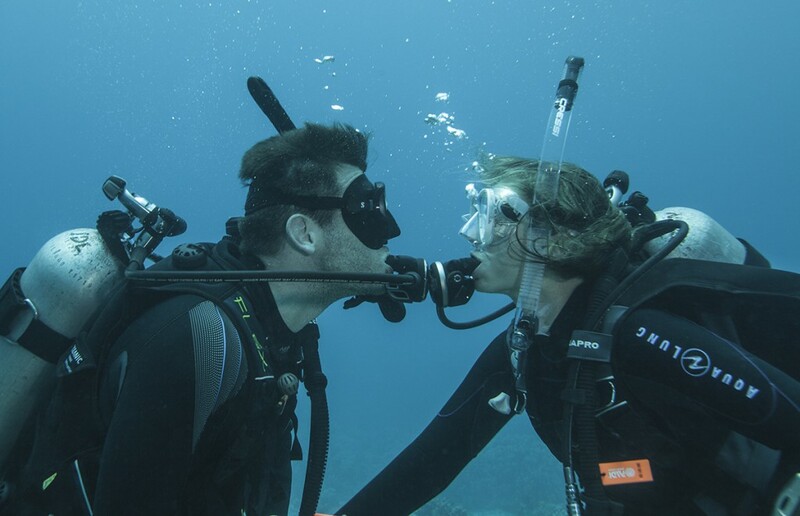 Moreover, these opportunities can be a good way to prove how compatible or not a new dive buddy is. If everyone is on internet, your diving partner is probably there too. On social networks you can share experiences, talk about the best places to dive, while you discover those divers who meet the requirements you are looking for. Another option is to write a thread on one of these groups or forums. As simple as “I WOULD LIKE TO FIND A DIVE BUDDY”. Attend meet ups, talks and Scuba events. The most interesting thing for your goal in these meet ups will usually happen after the event. Do not stick to your corner in silence without talking to anybody. It is time to do some networking and meet the most interesting people. Moreover, you can ask questions which will help you discover if those people are good candidate for being your future dive buddies. Go on vacation to a place where you can dive. Many people are in the same situation. They are Scuba Diving lovers, but they still have not found that ideal scuba buddy. There are holiday paradises ideal for scuba divers, where some of them are alone too. Who knows? Perhaps, your perfect dive buddy is one of them. 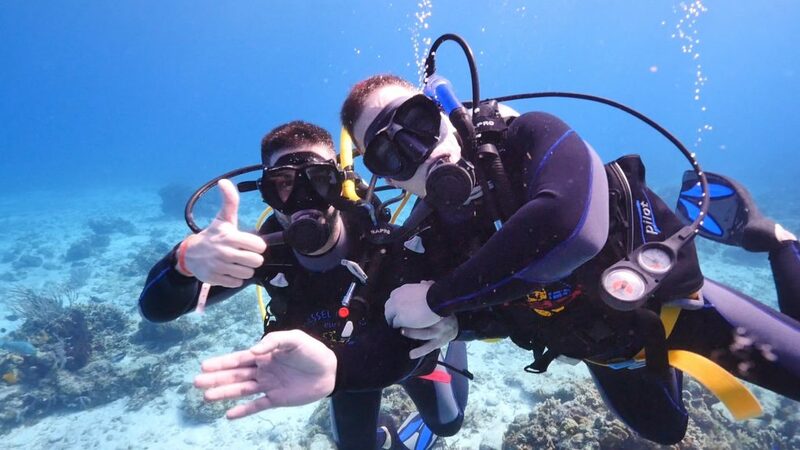 Find a dive buddy by taking a course to improve your scuba diving skills. You met your best friends at the school, so it’s time to go back to the school! Doing an advanced PADI course, you may very well find that ideal person to share your dives. Go ahead and improve your scuba diving skills by doing a PADI Advanced, or Specialty Course. Why not even do a PADI Divemaster course, which besides increasing your options to find a good dive buddy, could open the door to future dive employment and travel. Not having a dive buddy can be a great disadvantage. 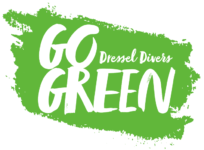 However this drawback disappears when a diver makes the decision to enjoy diving with Dressel Divers. With over twenty years’ experience in water sports, we guarantee service satisfaction. 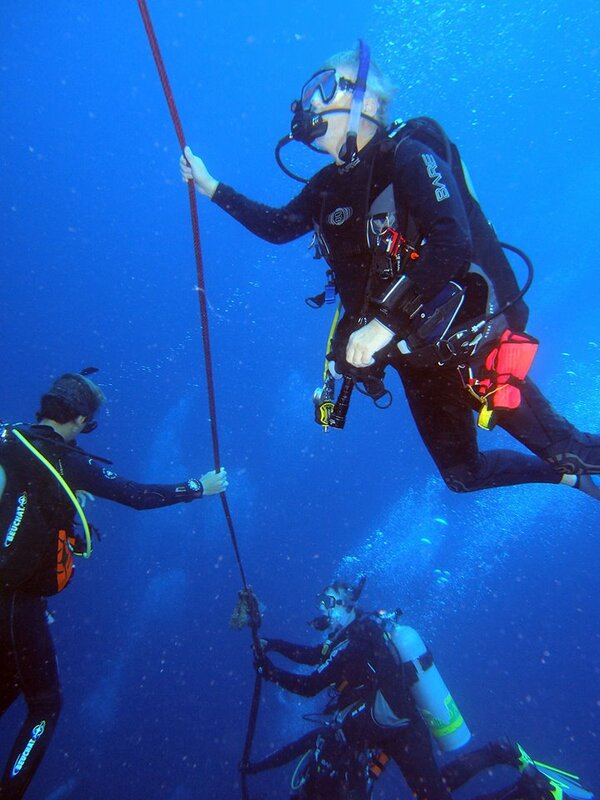 Our professionals always aim to match our divers taking into account their characteristics and capabilities. Moreover, if this is not possible, our PADI dive professional leading the dive will happily be a splendid dive buddy for you. Following some of these seven strategies or all of them, we are sure you are going to find your perfect dive buddy. When it will happen, feel free to share your experience with us. 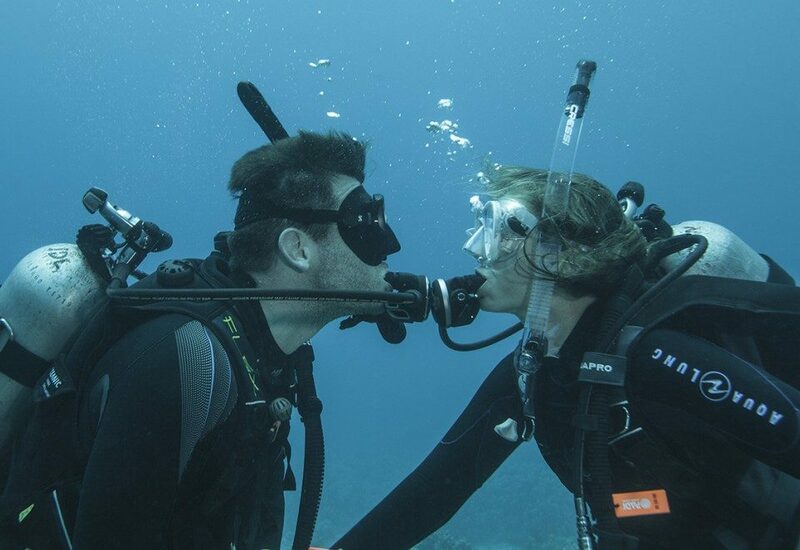 Please write a comment, which can be inspiring to other scuba divers in order to find their perfect dive buddy as well.